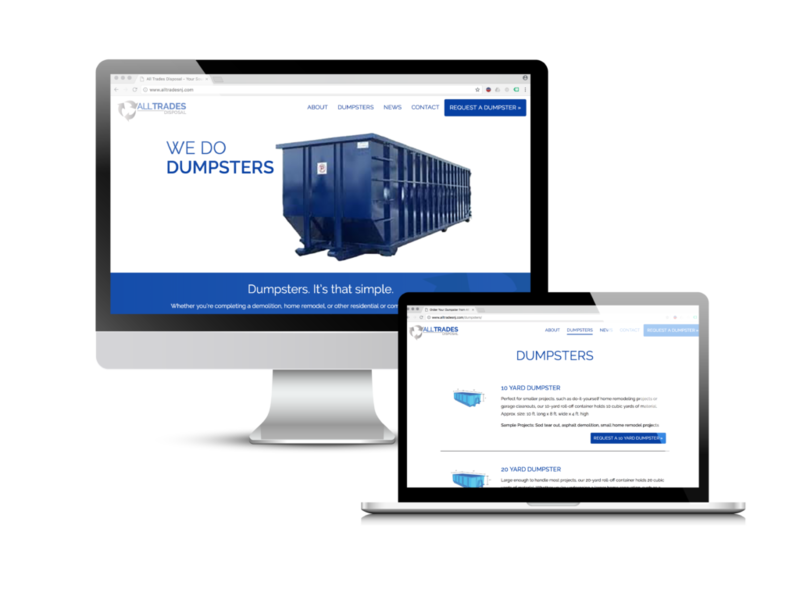 All Trades Disposal came to us to build a modern website that made it easy for users to request a dumpster pick-up as well as a dumpster removal. We worked with them first to create a more modern brand, with a logo design and color selection based on their blue dumpsters. We then worked with them to write simple, SEO friendly copy, and built a website that clearly and simply explained what they do, and how easy it is for you to do business with them. We also set them up with a general content calendar so they could use that year after year for ideas to keep their social channels up to date. A modern website which makes it easy for visitors to request a dumpster delivery and/or pick-up, generating more leads for the business.